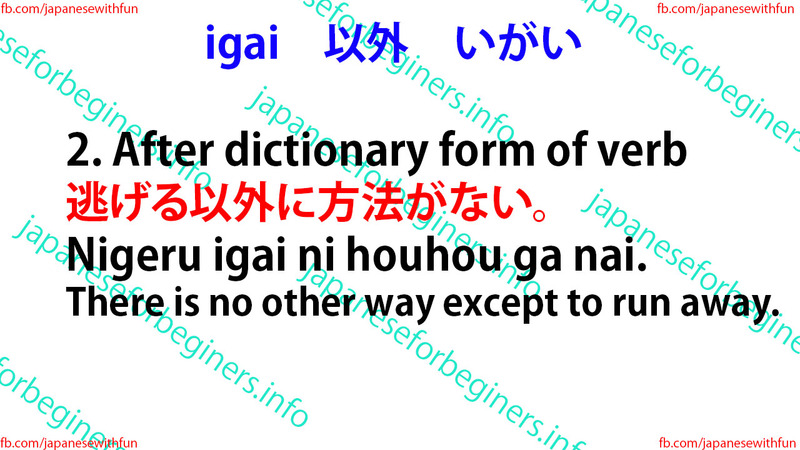 It is often followed by the particle にni or はwa. 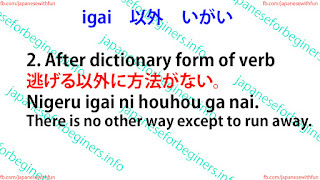 Suiyoubi igai wa mainichi hataraite imasu. I work everyday except Wednesday. 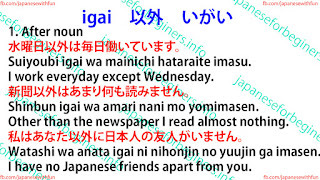 Shinbun igai wa amari nani mo yomimasen. Other than the newspaper I read almost nothing. 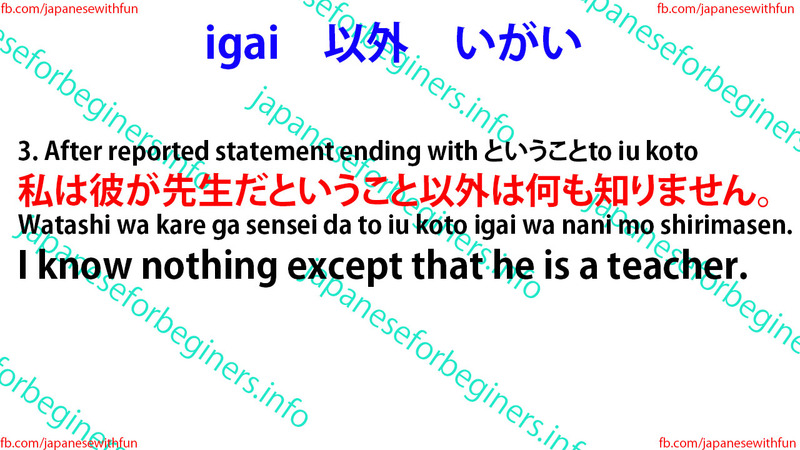 Watashi wa anata igai ni nihonjin no yuujin ga imasen. 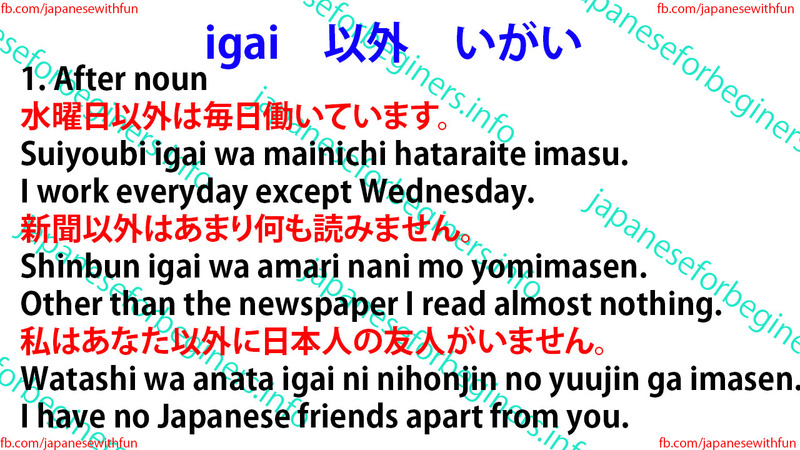 I have no Japanese friends apart from you. Nigeru igai ni houhou ga nai. There is no other way except to run away. 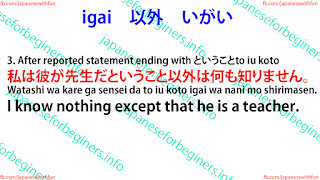 Watashi wa kare ga sensei da to iu koto igai wa nani mo shirimasen. I know nothing except that he is a teacher.